everywhere you look, magazines, blogs, Pinterest, we're seeing smiling, happy families having amazingly beautiful, glossy, and fun holidays. take one look and you're left screaming, "i want a holiday like that!" the secret: take better pictures! well, i know my mom's holiday fetes are always beautiful and festive, so i set out to actually capture that! notice the brunch spread! 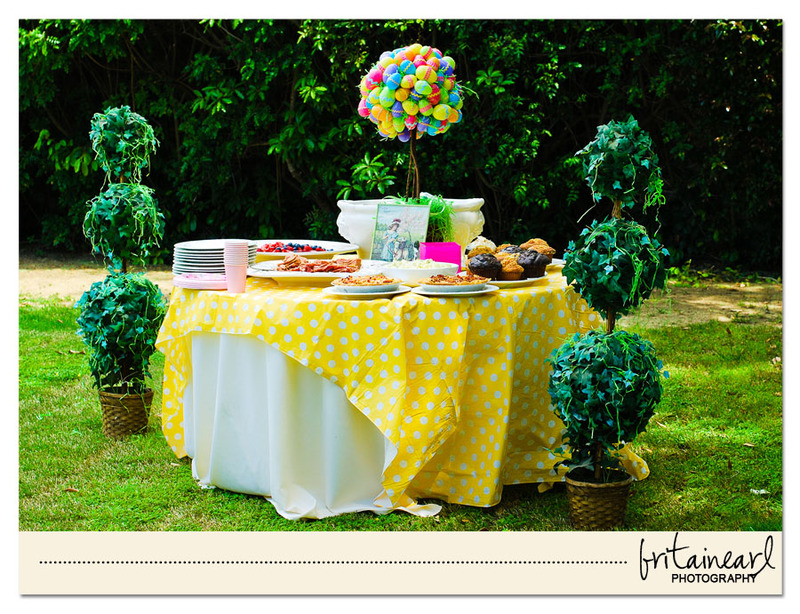 scrumptious goodies and a centerpiece of brightly colored Easter egg topiary! my parent's backyard is a lush landscape perfect for brunch under the blue skies! 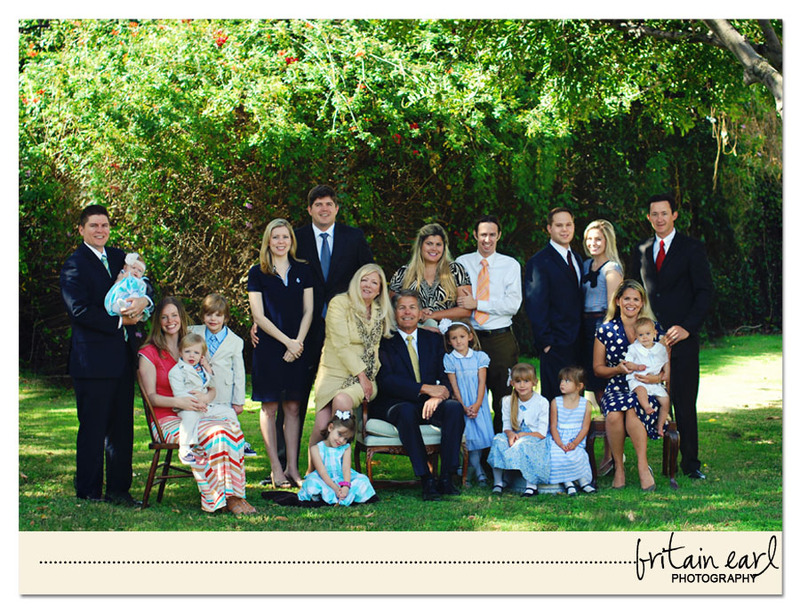 our family gathered for a quick portrait before attending church on Easter Sunday. with 5 granddaughters (and 3 grandsons, but let's face it the decor is lost on the boys) it's so important to my parents to mix beautiful decor and tasty food with whimsy and fun! grandpa is a pro at hanging paper lanterns and what-not from his trees. 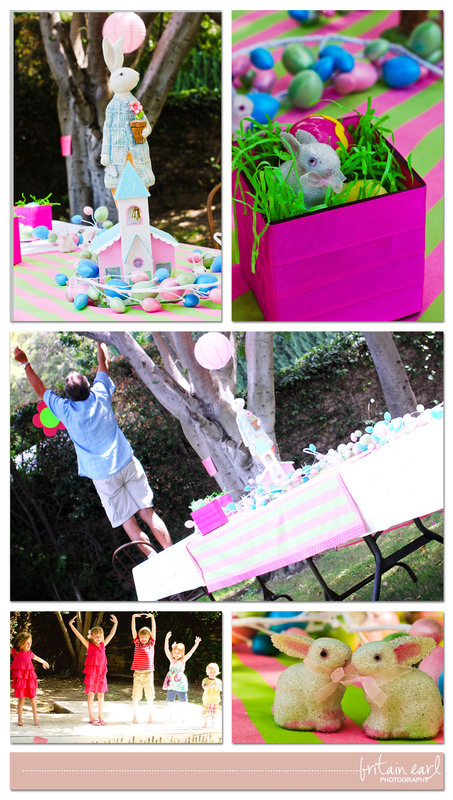 and grandma has an eye for details to brighten and enliven the minds of children and grownups alike! and the kids were so inspired, they entertained us with a lively Easter program. the Easter bunny didn't disappoint either . 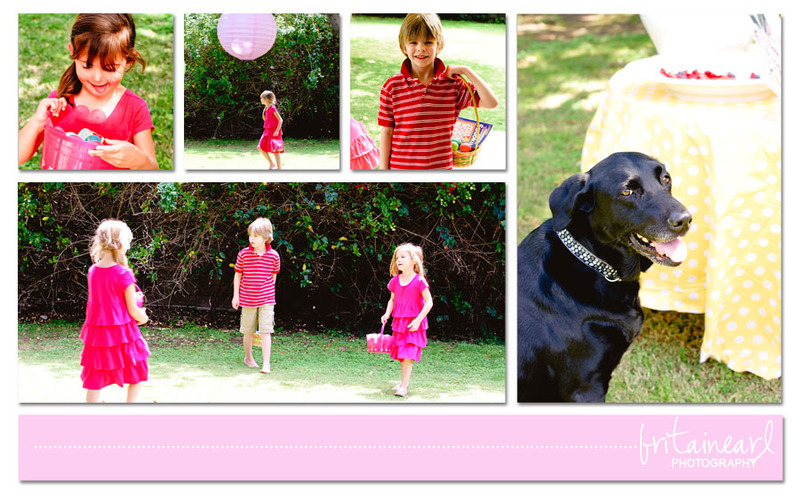 kids and canines alike were busy finding candy filled delights all afternoon! being that we were all dressed up and looking so darling, portraits were definitely on the docket, more on that later. 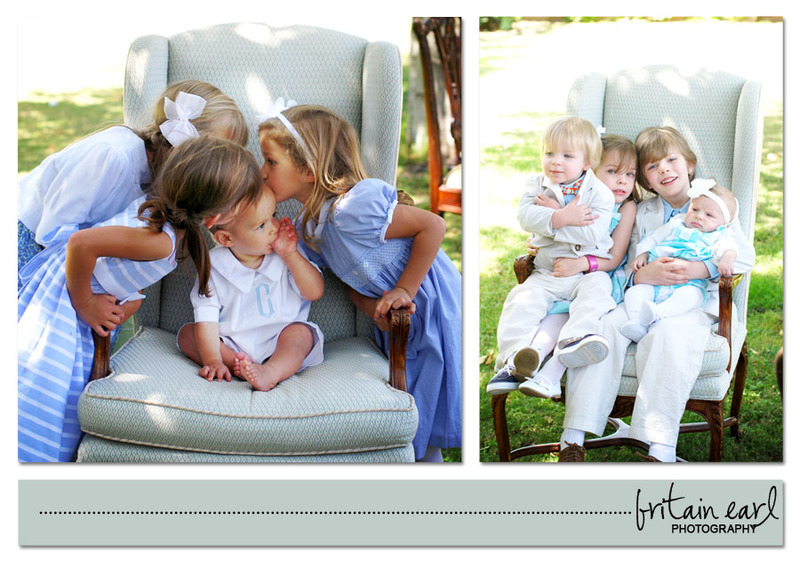 the moral of the story, get out there and capture your special holiday moments! take close up shots of all your special details, get in close on those kids' candy-coated smiles, and don't forget to snap some pics of the yummy food too! 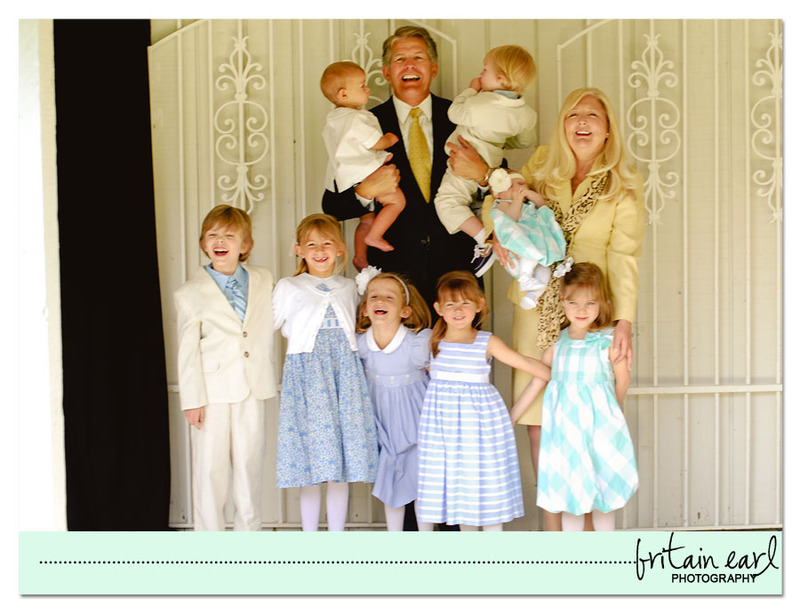 and don't forget to get a family portrait!